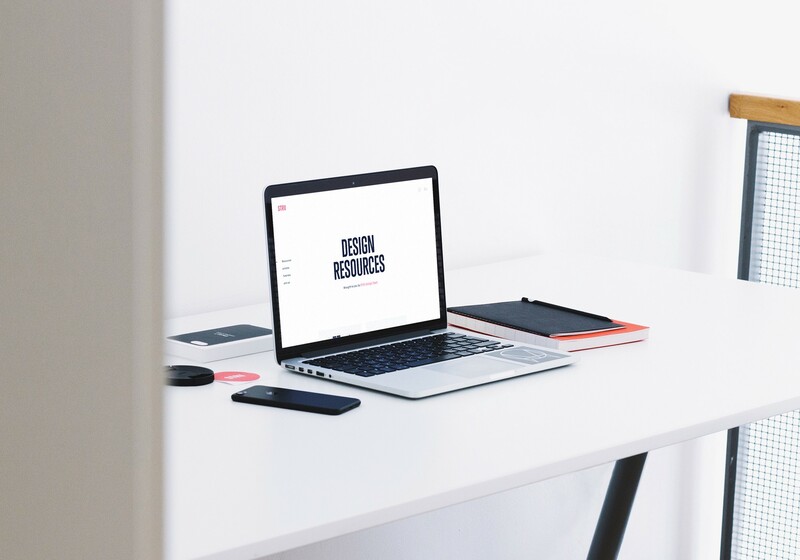 a collection of design resources, articles, tutorials and videos created and curated by the design team at STRV. You've probably noticed we're sharing our work in progress or finished projects more than ever, and we found a pleasing side effect in all of this. We saw a significant increase in people interested in knowing how we work or what's the secret behind pushing so hard. We've already shared some tips in our Design Insights article series YouTube videos and live during our Designer Meetups. But it seems like it’s still not enough. People keep reaching out to us. Replying to our articles, asking for more information and advice or even asking us to share some of our internal resources or source files. Well-organized. Updated. Everything in one place. You'll be able to learn more from our experience, grow with us and use the same tools we do on a daily basis. We’re definitely not the first team who does something like this. I bet most of you already know what the design team at Facebook is doing or are familiar with InVision's blog. We’re a big fan of these and want to join the game. We believe different perspectives and options can even increase the community know-how and give everyone more sources to learn from. Doing a project like this definitely requires human resources and a little bit of management to keep us in the right direction. However, hiring extra help or dedicated content creators to produce “something interesting” at any cost doesn’t seem like a good idea to us. Our designers themselves should be in charge of the platform’s destiny. We see this as an internal design team side project where everyone is involved. Some of our resources or materials are widely used across our team already. The only thing we need to do is to switch sharing options from private to public. Those files are just laying on our team's cloud drive. But it’s not just that. Since we use those files ourselves, it only proves they are tested in real projects and fit into our general design process.We won’t share some random things created just to catch your attention. We all have experienced this situation when working in a team. Sometimes you find yourself without a project for a few hours or a day. Or are waiting for feedback to come. We have a special rule in our team that allows designers to work on side projects in their downtime, including working on new updates for STRV.design. We have a few selected topics we want to focus on, allowing designers to create anything they think others may find useful. We’re starting with an internal approach for now, meaning we’ll only provide content created by our own team. But an idea of having an open platform sounds really interesting to us. We may get to a point of asking other creators to post their own files or materials on our platform. We have only one rule we want to maintain: These files or methods have to be used by our team in order to keep the label: “curated by the STRV Design team”. But calm down; it’s too soon for something like this. Oh by the way, it’s completely free! Selling stuff to fellow designers is definitely not going to be a new revenue stream for our company. Our vision of connecting with the community is different. We don’t want to charge money for a “basic” level of resources, which should be seen as standard in our industry. It’s like creating a starting line for everyone to follow and build upon. We also want to offer an alternative to buying beautiful, but useless, UI kits which just look pretty but don’t provide any value in the long-term. 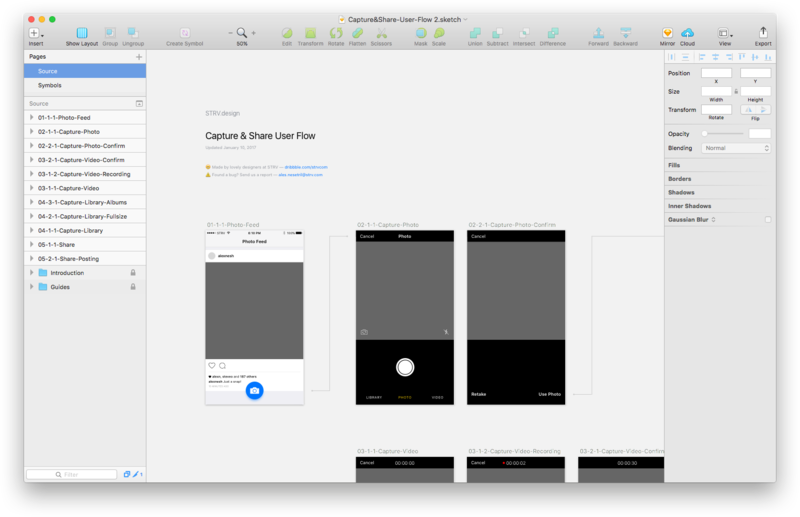 That’s why we, for example, offer Sketch or XD source files with no visual layer or styling. We want you to use the “industry standard base” but let your creativity take the lead. STRV is a one-stop mobile app development shop working with top-tier startups from Y Combinator and 500 Startups, among others, across offices in San Francisco, Los Angeles, New York and Prague.